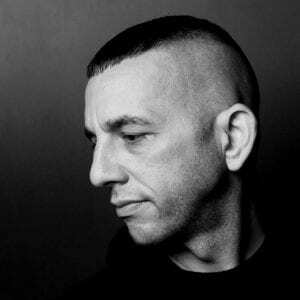 Born in New York (USA), but now based in (Germany) for years Adam Mitchell aka Adam is a renowned and talented producer/DJ/label owner. He’s one of those visionary artists who in my eyes always has symbolized the electronic sound of tomorrow. His music always has been a mix between EBM and techno, which sometimes has been defined as industrial-techno. Adam is involved in multiple projects like Traversable Wormhole, ADMX-71, Mass-X-Odus ao, but Adam X remains the main project. Late 2018 Adam-X released his sixth full length album “Recon Mission” on his own label Sonic Groove. The work is a new masterpiece and one of the best electro productions from 2018; a good reason for an interview. Q: You’ve released tons of EP’s, but “Recon Mission” also is your seventh full length album as Adam X. What means this new work in your personal discography and what inspired you (sound-wise) to compose this album? Adam: The album inspiration comes from a few unrelated & related topics. The album titled track “Recon Mission” is about a reconnaissance mission against government authorities. The official video on Youtube goes deeper into the topic and what the lyrics are about. Several songs on the album are inspired by the mysteries of planet Earth, such as hypothetical theories about Earth Base One, the Bimini Wall and the Bermuda Triangle. I’ve gotten heavily into collecting the 50’s-70’s sci-fiction/mythological illustrative work of Jack Kirby in the past 1.5 years. I find his artwork & story scripts very inspiring. I’ve always been into the cerebral/out of worldly side of electronic music and his artwork provides a visual inspiration for such thoughts. These are the main inspirations on the album. Q: The album has been introduced as a dystopic vision featuring ‘conjuring visions of New York City’s past’ and ‘CIA shadow government experiments’. What fascinates you in these dark themes and what’s your perception of the current political situation in your homeland? Adam: As a teenager growing up in NYC in the 80’s I was surrounded by a mass amount of urban decay. The city was a mess back then with several area’s throughout the city looking like Berlin after the Russians entered in 1945. On top of growing up in a very decay city, criminal activity was very high. Unfortunately I was deeply affected from this activity when my father was murdered in a gun robbery when I was 13 back in 1985. So to put it bluntly, NYC was very dystopic for me back then. Somehow despite the dark, bleak times I managed to have a great, very rebellious adolescent life exploring my city and painting graffiti art on many subway trains thru out the city. Then some years later my brother and I began organizing illegal techno rave parties in abandon warehouses and other industrial locations. Those rebellious moments I had growing up will always have everlasting effect on my artistic vision. The current political situation in the USA is a mess like always. I don’t have any trust in the American government no matter the political side. I feel neither party are for the people. Each party loves to blame one another, but nothing really ever changes despite who is in power. The amount of poor and homeless people in America is staggering and it’s on the rise for years now. The infrastructure is old and rotting in many places across the country. Unlike Europe we have a horrible antiquated train system. The inner cities have ghettos worse then most 3rd world nations. Imagine small cities like Flint, Michigan having a poisoned water system for decades. Guns need to be controlled, but this seemingly will never happen. The amount of heinous crimes committed with guns is staggering. I am a strong advocate for gun control especially as my family is a victim of a gun murder. I’m tired of seeing mass murders every few weeks. I live in Germany 12 years and gun deaths are not so much an issue here. I won’t even get started into the current president’s handling of world affairs other then to say ‘not good’! Q: Sound-wise “Recon Mission” remains totally vintage-like. Tell us a bit more about your way of working, the sound treatments and equipment you’re using? Adam: Believe it or not my music is done all in software, my DAW is Ableton and I use a lot of synth plugins. My productions in my first 14 years of making music were strictly done with analog/hardware. So I have a very good ear in making virtual synths sounds like the original keyboards they are designed to emulate. For sound production most of the songs are first tested before release when I DJ out at gigs. For this particular album I was able to test the final mastered versions in one of the major nightclubs here while the club was closed. This was crucial as I noticed a few flaws in sound that needed to be adjusted before sending out for production. With that being said I’m 101% happy with the finished product. Q: You’re based in Berlin where you’re very active. What makes Berlin that attractive and special for artists and do you feel some impact from this artistic life and music trends on your work as musician/producer? Adam: The nightlife here is amazing. So playing gigs or going out to event’s here is a constant source of inspiration. Berlin is also very communal with other artists and music industry people. So my meet-ups with many people in the business here is also always source for inspiration. Outside of the music industry I enjoy the pace of life here. It’s much more relaxed then the time I spend in NYC during the year. Q: You’re still running Sonic Groove so I would like to know your personal criteria and eventually references when you’re signing new artists? And how do you see the music business evolving as label owner? Adam: I’m normally releasing music from artists who I have a personal friendship with. I prefer this to releasing music from artists I have no personal connection with. It’s much nicer to run the label as a family affair. The music business is constantly changing and being able to adapt to the changes is very important in the survival of running the label. At the moment vinyl sales in the industry are down for dance floor related music, but digital downloads and streaming are rising. The techno scene especially is completely saturated with music releases. There are over 400 new titles on vinyl a month in techno. It’s a limited buying market, but still a very important necessity for artists to get noticed by press and promoters in the scene. It can be quite nerve wracking with vinyl sales when releasing music from lesser known artists. It’s not an issue when dealing with the core bigger artists on the label like , Rhys Fulber, Dasha Rush, Blush Response and myself.